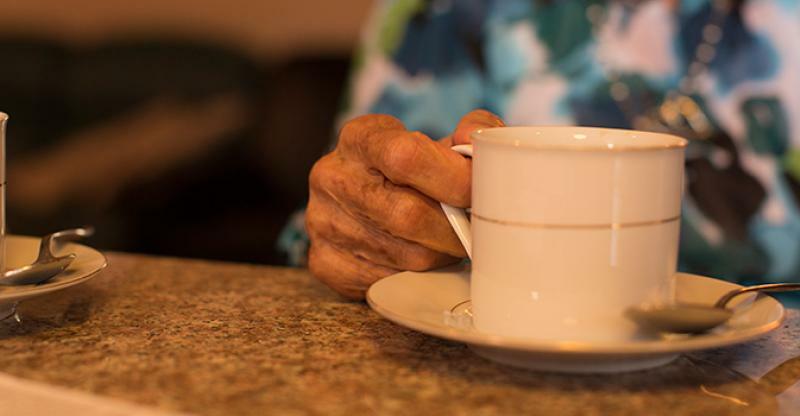 There are plenty of devices out there that can be used to improve the lives of seniors. GPS trackers allow caregivers to keep an eye on their loved ones when they’re out and about, helping to ensure their safety. GPS trackers specifically designed for seniors put an emphasis on functions that enhance safety, including emergency buttons and health metrics. For seniors with Alzheimer’s disease or dementia, as well as other conditions that make them prone to wandering, a GPS tracker can be a lifesaver. Even if you live in a state with a Silver Alert program, a GPS tracker can provide peace of mind in knowing that you can quickly locate your loved one should they wander or become lost. And they don’t have to be large and obtrusive – in fact, many modern GPS trackers are discrete, allowing you to keep them in the bottom of a bag or even around your neck. Being able to locate your loved one if they vanish could literally save their life. 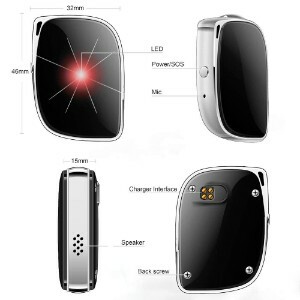 Depending on your needs, you may require a certain type of GPS tracker. If you prefer something discrete, you’d benefit from a device that can be worn as a necklace, watch, or bracelet. 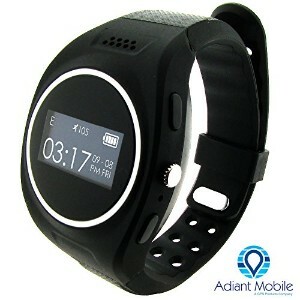 There are also watches and conventional GPS trackers available. Monthly fees. A lot of GPS trackers have monthly fees. This is because they use cellular technology to pinpoint the location and deliver it to you. There are devices with no fees, although the majority of them are more limited in their tracking abilities. 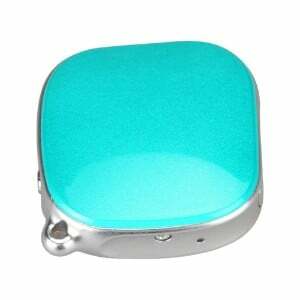 Many GPS trackers have a lot of additional features bundled in. GPS watches, for example, often double as fitness devices, providing health metrics and other measurements. Other features to look out for include SOS emergency buttons, two-way calling, and audio monitoring. GPS capabilities. 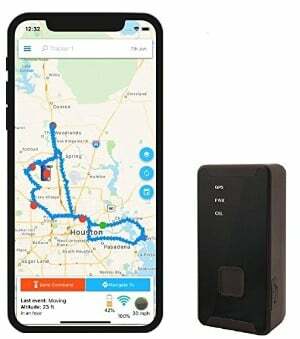 If you need a GPS tracker that’s able to track nationwide, you’ll want to opt for a more expensive, conventional GPS tracker. Shorter range tracking often requires less of a rigorous device. To help you find the best GPS tracker for your aging loved one, we’ve rounded up 50 GPS trackers that are all high quality and deliver results. The devices listed below are broken down into three categories: wearable GPS devices, keychain trackers, and conventional trackers. 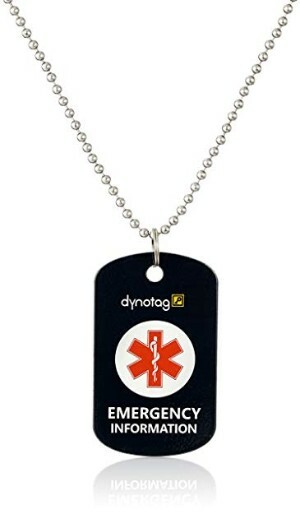 If you’re looking for an unobtrusive GPS pendant, the Dynotag is perfect for you. It’s designed with sturdy, weather-proof stainless steel. With your purchase, you get a lifetime subscription to their services. The device stores your information and allows medical personnel to locate your home, even if you’re incapacitated. There are plenty of GPS watches on the market, but none as affordable as this one. 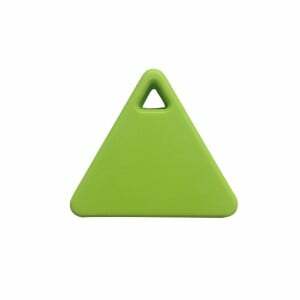 It’s made of aluminum alloy and is extremely durable. The design is sleek, going with most styles of clothing, and it’s packed with features. With an appropriate SIM card, you can make calls, live track individuals using the app, and send voice messages. The vivofit is a fitness band with a built-in GPS. It’s made to track fitness levels, including steps, calories, and it also monitors sleep schedules. There’s a 1-year battery life, and the watch is water-resistant. It comes in many different colors and is highly customizable. 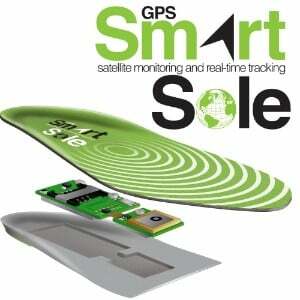 The GPS SmartSole is a device that you hide in your shoe. It uses GPS and cellular technology to track an individual, much like any other GPS device. It’s very discreet and your senior parent won’t forget to bring it with them, as it’s in the shoes they wear every day. The SmartSole was designed for anyone who wanders and may become lost. 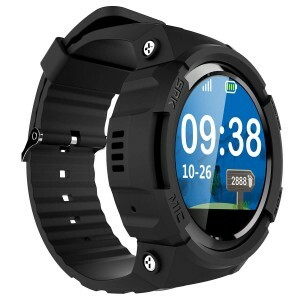 The JUNEO GPS Smart Watch is an affordable way to keep track of your senior parents and send them messages without having to give them a complicated smartphone. The watch has an anti-shedding alarm that goes off if the watch falls off, reducing the likelihood that it will get lost. It has a built-in GPS and there’s an app that goes along with it. The Medical Guardian is a device designed specifically for seniors. It helps you schedule medications, doctor’s appointments, and simplifies sending text messages. 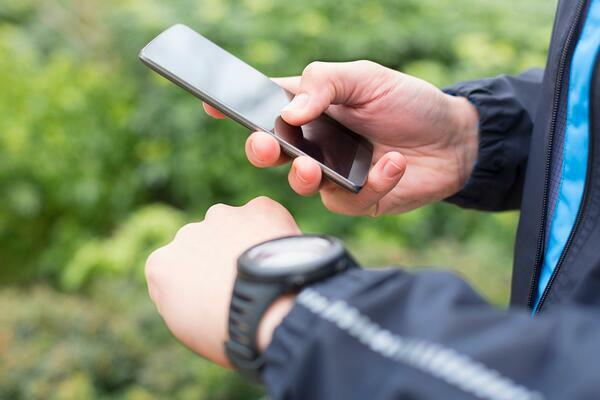 There’s a GPS device built-in that can keep you in range of your emergency contacts, which are stored in the watch and notified if you hit the SOS button. 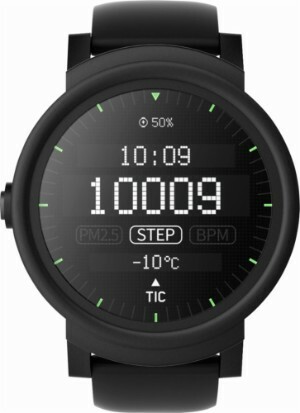 An affordable smartwatch that’s designed with a polycarbonate case and a silicone watch band that protects the watch and keeps it safe. 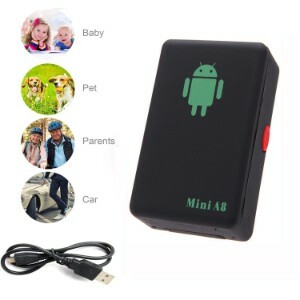 The battery lasts for up to 1.5 days and charges quickly. There’s a built-in GPS to monitor your route, and it can help seniors get around and find their way home if they leave the house. The MX-LOCare ships with an already installed SIM card and service plans start at $24.99 a month. It works worldwide and uses cellular and GPS technologies to provide an accurate location straight to the free iOS and Android app. There’s a built-in listen-in mode that allows you to hear audio around the watch through the app, which is convenient for checking in on someone. 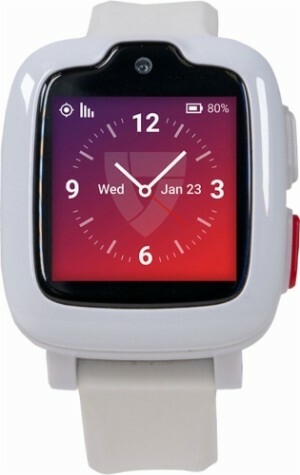 This smartwatch uses a T-Mobile micro SIM card. There’s a 1.22” OLED touchscreen display that is crystal clear and shows large font, making it easy to read. 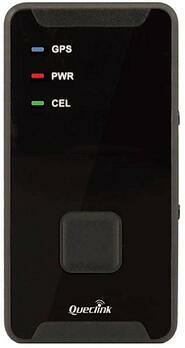 The built-in GPS is accurate and records your location using GPS and cellular technology. 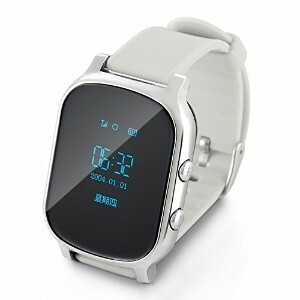 It also monitors sleep and can serve as an altimeter, barometer, and thermometer. This stylish pendant doubles as a GPS. It’s perfect for senior women who don’t want to carry around a clunky GPS tracker. And if you for some reason need to be discreet, this pendant does the trick. 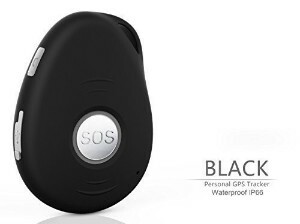 It uses GPRS and GPS for precise precision tracking, and there’s also a hidden SOS button as well as voice monitoring. 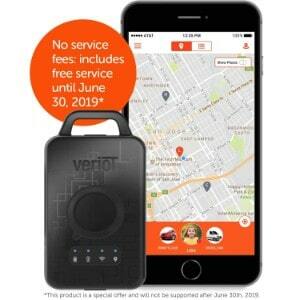 The Veriot is a GPS tracking device that supports iOS and Android devices as well as tracking on a PC. It supports AT&T’s network to provide coverage across the US. There is 24/7 support through the company offered through email or phone. The battery lasts up to 5 days of continuous use. 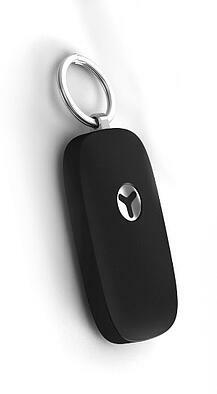 This mini GPS tracker can be clipped onto a keychain or a necklace. It requires a SIM card, but once you get it set up, you have access to remote tracking. There’s a built-in speaker with a microphone that monitors audio and enables two-way conversation through the app and the tracker. Using Google Maps, this device is able to track people, pets, and luggage. 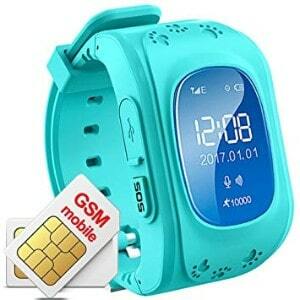 You will need to use a SIM card to access web tracking as well as SMS and voice functions. There’s an SOS alarm built onto the tracker, just in case your senior parent has an accident and needs to notify someone. The Cube is designed to locate whatever it’s attached to. Keep it in your senior parent’s bag or pocket, or attach it to their clothing, and you can keep track of them using your iOS or Android app. 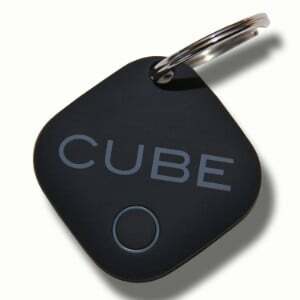 The Cube also has a button built-in that can be used to take photos remotely. 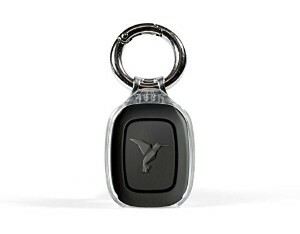 This keychain GPS tracker clips right onto your targets keychain and is lightweight, making tracking quite simple. 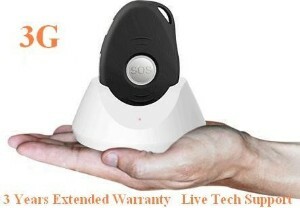 There’s a built-in SOS alarm that alerts a set person when you have an accident. You can also set up a geo-fence, getting an alert when your target passes a certain area that you set up through the app. With an anti-lost alarm, the GBD Smart Finder is small and easy to carry around. It’s designed to track targets short-range. In scenarios where you need to keep an eye on a senior parent while you’re out, these are perfect. There’s an anti-lost alarm that will go off when your target goes too far away from your cell phone, which has an app to control the tracker. You would never know that this necklace is a GPS tracker, as it’s designed to look like an appealing necklace. There’s a geo-fence alarm function built in to keep your target within a certain range. If they cross the line, you’ll get an alert. It supports two-way communication, allowing you to not only listen to audio around the tracker but to talk to the target. As a short-range tracker, these excel. You get six for the price, meaning you can keep one on your senior parent, one on your pet, and just about anywhere else you need to keep track of something. It’s not a long-range tracker, but it does allow you to locate the tracker within a short-range. They excel at keeping an eye on items and people within your vicinity. 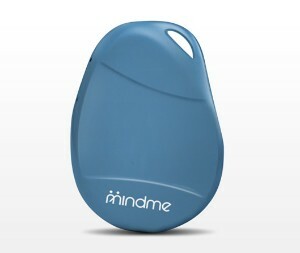 The MindMe tracker is a high-quality tracker designed to keep track of people with dementia who wander. 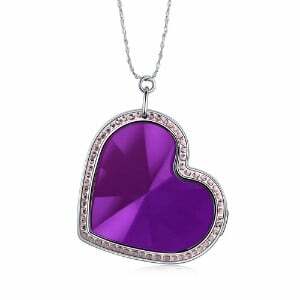 It has a simple design and can be carried on a keychain, attached to a belt, or even used as a pendant on a necklace. The battery lasts up to 48 hours and it uses a multi-network SIM to locate people anywhere. Like the MindMe, the PocketFinder was also designed to keep track of those with dementia. It uses location technologies to monitor individuals using Global GSM wireless networks. It can restore independence to seniors, as you can allow them to do more on their own without fear that they’ll get lost, as you can track them using the app. 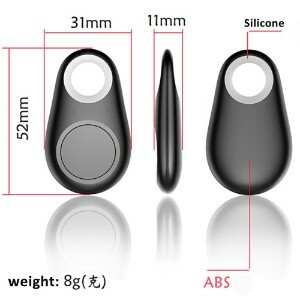 This keychain personal safety device has no fees or subscriptions, meaning you only pay once. With this device, you loved one can send a few messages with the click of a button. They can let you know that they’re okay or send an alert, transmitting their signal to you through an app. There’s also a personal panic button built in case of emergencies. 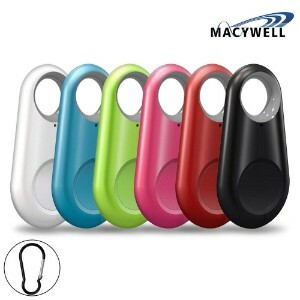 This affordable tracker comes in a multi-pack and you can choose from five different colors. It’s designed to track targets short-range, making it perfect for keeping your senior parents safe. 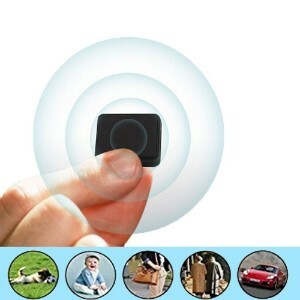 If they’re prone to wandering, these trackers can alert you if they wander too far away. 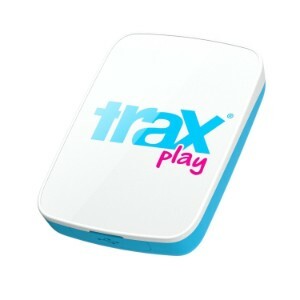 The Trax Play is a GPS tracker that comes in two different colors. It can notify you when your senior parent leaves a designed zone, and you can track it through the smartphone app. 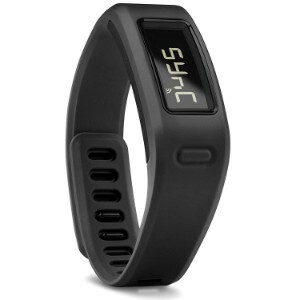 The tracker itself is durable, water-resistant, and won’t break due to intense temperatures. It connects to a 2G T-Mobile network to deliver service. This real-time GPS tracker can track seniors anywhere they could end up. It has a long range capable of crossing state lines, and the battery can last over a month. The tracker records up to one year of history and comes equipped with many functions, including an alert when your target enters or leaves certain zones. If you’re looking for a budget GPS tracker, you’re in luck. 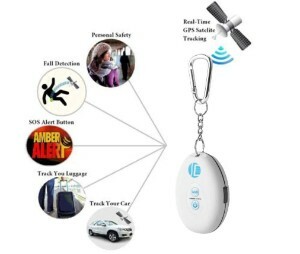 This real-time global tracking device is only $12.85. It can track your senior parents, your pets, or even your kids wherever they go using the app. The small size makes it easy to store in a purse or backpack, even discreetly if you need to do so. The Optimus Tracker is one of the best-reviewed GPS trackers on this list. It includes an iOS and Android app that are quick and deliver immediate location reporting. You can set the device up to send email or text alerts when your target does certain things, like leaving a designated area. The service is $19.95 a month. With no monthly fee, this GPS tracker pays off in the long run. It requires no data plan and still provides accurate positioning reports within 15 meters. It’s able to monitor voices, reporting audio to you through an app. There’s a built-in SOS call button too, in case your senior parent has an emergency. Another JLEKONG GPS tracker with a different design. This version is waterproof and won’t be damaged by poor weather conditions. The company offers lifelong technical support and warranty, which is great considering there’s no monthly fee. It works alongside the Amber360 app to record the target’s position and monitor audio. 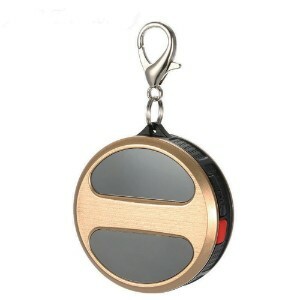 This miniature GPS tracker is extremely portable, fitting in the bottom of a purse, bag, or pocket. It provides real-time tracking and an alarm to notify you when it’s taken out of a designated area. The tracker can monitor both location and voice and is easy to set up. With a built-in fall monitor, this GPS tracker was designed with seniors in mind. You can set boundaries using geo-fencing technology and be alerted when the tracked individual leaves a certain zone. The GPS can be accessed through an online portal that uses Google Maps to report the location.